25 Days Of Kindness with KY Fit! It’s that time of year again, let’s make this a MOVEMENT people-who’s going to join me?! Dec 11) Donate to Locks of Love, Volunteer for a Cancer Charity, or Donate! Dec 12) Hand out Snacks and Refreshments to University Students During Finals Time! Dec 13) Mail Surprise Gifts to Your Biggest Supporters in Life! Dec 15) Pamper a SR. or Take a Sr. on a Date! Dec 18) Donate, Visit, and/or Volunteer at the SPCA .. or adopt! Dec 20) Random Act of Kindness Day: Volunteer a Resource or Skill of Yours to someone who needs it! Dec 25) Gifts for Gym Goers/Employees, and Gas attendants/employees on Christmas Day as I travel! Let me know if you want to take part! No matter where you are in the world and whether it’s 1 day or 25, let’s do something for the better good! I think this is just an awesome idea. I am on mat leave this year and would love to volunteer for a day or 2. Is there more help needed on any specific day? As long as I can arrange child care for that day I’m in. Thanks for inspiring us! 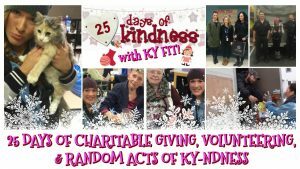 Our school is doing 21 days of kindness for the 21 days we attend in December. You can see some of our activities at #21daysofkindness on twitter! No way, that’s amazing!! Did you get the idea from me?! KUDOS! so happy to have the kids involved!